Brr, the temperature has been dropping significantly lately here in Utah! Last night I sat through my new beau’s late 9:30 pm softball game bundled up in blankets, and was still shivering in the cold 45 degree temps! Today I had to turn on the heat for the first time in months and getting up this morning all I wanted to do was get into some cozy warm sweatpants, and slippers too, of course! I’m a big fan of slippers as my hands and feet are often much colder than the rest of me, and of course because they are basically shoes! AND I LOVEEEE shoes! The problem I often run into with buying slippers, though, is that they usually all look about the same. A bootie, mule, moccasin, or ballet flat. That is pretty much the only option when it comes to house shoes. Upon recently throwing out an old pair of super worn-in, falling apart at the seams -slippers, I searched forever online to find something more unique and more stylish, because I am a fashionista after all! Even if I’m just lounging around the house, I need my loungewear to reflect my style. I just do. It’s who I am. I need something different! A slipper that doesn’t look like a traditional slipper! In my (what I thought was an impossible quest) of searching online for a unique slipper, I did indeed find it! 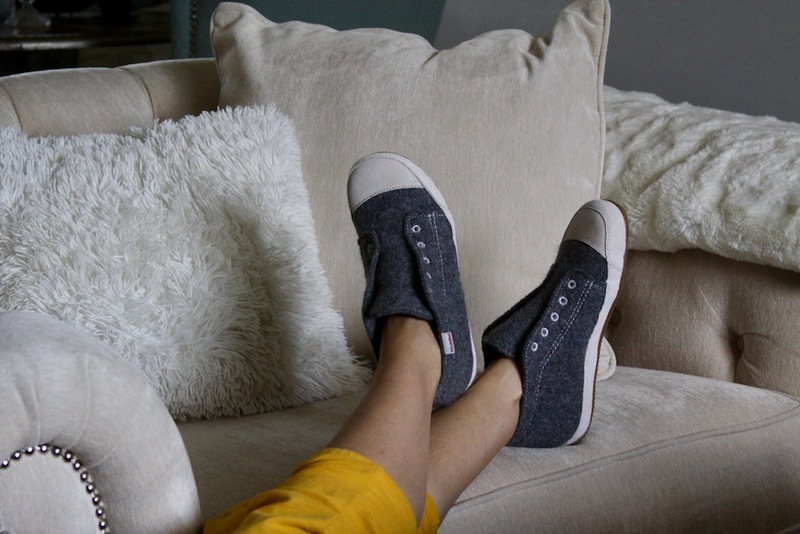 The PERFECT fun, cozy, super stylish slipper! 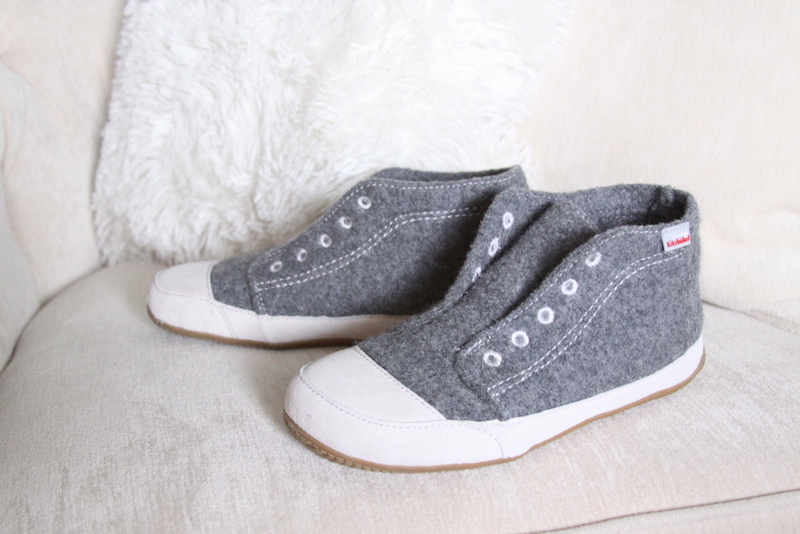 I found a fabulous converse- style, high top slipper from German Slippers! (See below to see incredibly how fun this slipper is- and SO UNIQUE too!). 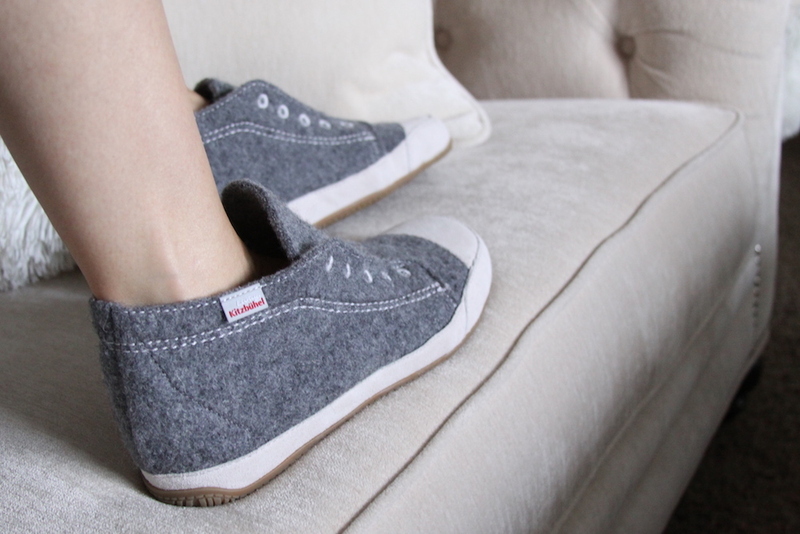 The Living Kitzbuehel Boiled Wool Gray Chucks Slippers are not just super chic, fun, and full of character, but they are super warm and cozy too! They have a great shape to them as well that keeps them from being flimsy or falling over. The product is very high quality, made with quality fabrics and materials, and is sewn together very nicely too. The well-made slipper is a total eye-catcher, even if you’re just catching the eye of your teenage kid, cat, or husband while cozied up on the couch reading a book. The slippers are a perfect fit too and although mine are a high-top style, they are still very easy to slip and out of, even when in a hurry! They also have a nice, comfy, yet supportive sole, and tread on the bottoms too, making them great for walking in the outdoors as well! At German-Slipppers.com you can find tons and tons of unique styles of slippers for men, women, boys, and girls (Stocking stuffer anyone?!) Some of the best slipper brands on the market can be purchased here, including Haflinger, Gliesswein, Living Kitzbuehel and more! And while you can still find the traditional slipper styles such as mules, ballet flats, and mocassins, you can also find one-of-a-kind pieces that will most certainly appeal to your fashionista side. The awesome thing I’ve found that I love most about my German Slippers is that they look so great I can wear them out and about or for a quick jaunt to the store, and passerby’s would never guess my shoes were actually slippers! When the weather warms back up in the Spring, you can also find adorable summer slippers here too, including sandals, clogs, and more! 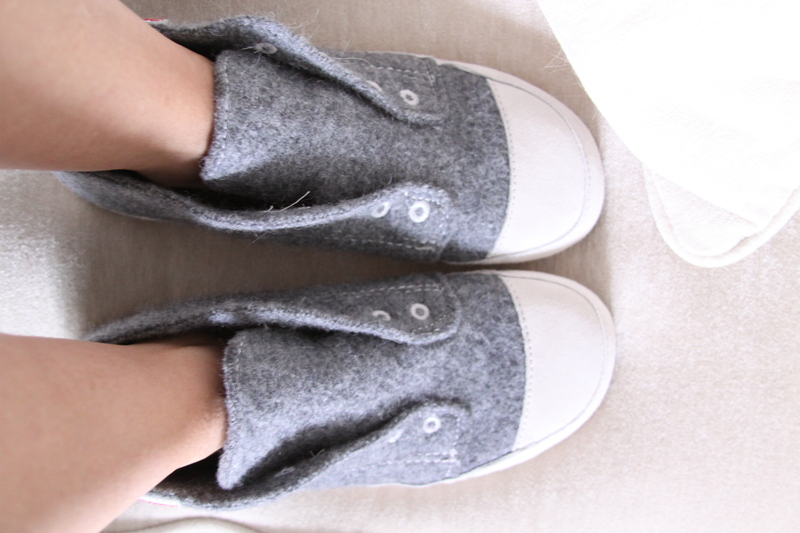 I’ve been living in these cozy, warm, fun, playful slippers the last two days since its cooled down, and have no doubt I will be wearing and loving them all winter long – and for many more winters, since they are built to really last! 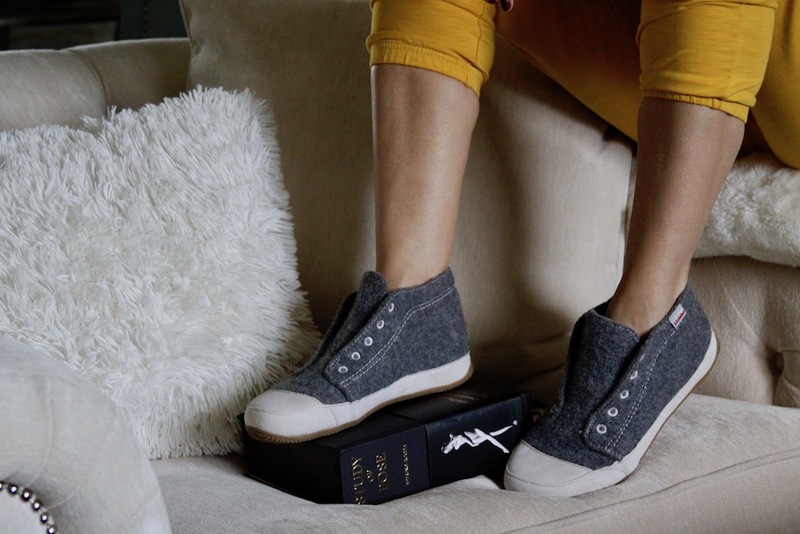 House Shoes don’t have to be boring any longer! Shop German-Slippers.com today for comfy, cozy, uniquely stylish slippers! Those are cute! I might get them for my mom, her feet are ALWAYS cold! I have to wear open toe slippers/sandals when I can, got foot problems. Aw! I’m a slipper lover and love these!